At Humphrey Wealth Management, our advisors design comprehensive strategies to unify all areas of your financial life. Our plans are anchored in your best interests, and every solution strengthens the next. The heart of our practice is dedicated to carefully constructing and managing investment portfolios. With access to industry-leading money managers, our advisors utilize cutting-edge technology and a deep pool of intellectual capital to develop personalized investment strategies for our clients. Through understanding the full picture of your financial situation, your short and long-term objectives, your risk tolerance and more, our advisors will design tailored investment strategies that align with your goals. Our cutting-edge approach allows us to defend our clients’ wealth by being simultaneously strategic and cautious through all market conditions. Whether you’re in the prime of your career, are just a few years away from leaving the workforce, or are already evaluating an early retirement offer, our advisors can help create an investment plan that satisfies your long-term goals. They will offer detailed projections of when you can safely retire, at what level of income, and what rate of return will be necessary to meet your retirement goals. Since our inception, we have helped clients effortlessly transition from the working world into retirement. Through our advanced technology and tools, we help clients navigate their retirement journey with more confidence. By looking at the whole picture of your life, our advisors can develop a tailor-made plan of action that evaluates pensions, 401(k) plans, savings, stock options, deferred compensation, and other assets to structure a reliable income stream throughout your future. At Humphrey Wealth Management, we believe the ultimate aim of estate planning is to develop a heritage of excellence for generations to come; one that not only passes on your assets but helps ensure the preservation of your most cherished values and wishes. To that end, our advisors provide a complete spectrum of estate plans, from the more fundamental solutions to the most advanced and comprehensive strategies on the market. Estate planning requires you to make decisions that have long-term consequences for your family members and loved ones. We pride ourselves on our ability to work with clients and their legal professionals in a seamless and effective manner. However complex your plan may be, we will partner with your estate attorney to secure your own life, the well-being of your family and loves ones, the business you have built, and the causes you value most. Growing your wealth is a priority, but protecting and preserving your assets is equally important. Wherever you are in life’s journey, it’s crucial to understand the ramifications of sudden changes and ensure the continued protection of you and your loved ones. At Humphrey Wealth Management, we manage risk from a personal and a business perspective. By working closely with you and your family, our advisors will perform a comprehensive review of your insurance needs to help protect against potentially catastrophic risks. By executing full audits of your existing insurance portfolio, we will help you with the proper coverage and asset protection structures in place. We work closely with insurance specialists to provide an independent and objective evaluation of your risk management program. Rising education costs require a forward-thinking plan. For many families, funding a college education will be one of the most capital-intensive challenges they ever face. At Humphrey Wealth Management, our approach to education planning makes college a reality without making your retirement uncertain. While maximizing the value of your earnings, we can help you prepare for one of life’s biggest investments. The necessity of “planning ahead” is typically associated with retirement, risk, or tax planning, but lost in the minutia of everything we must anticipate is the increasingly dramatic growth of education expenses. Higher education is becoming so much more integrated into the cultural vernacular. While tuition expenses are increasing more rapidly than most other costs of living, education planning remains one of the often overlooked aspects of the familial financial plan. 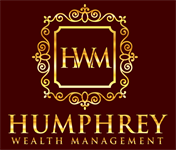 The advisors at Humphrey Wealth Management offers experience in the different means of saving for one’s anticipated education expenses including a mix of products like section 529 plans, prepaid college tuition plans, and more traditional means like Roth IRAs or trust configuration. Our team will work carefully to provide the ideal solutions and knowledge in and monitoring of both the endogenous and exogenous factors at play.